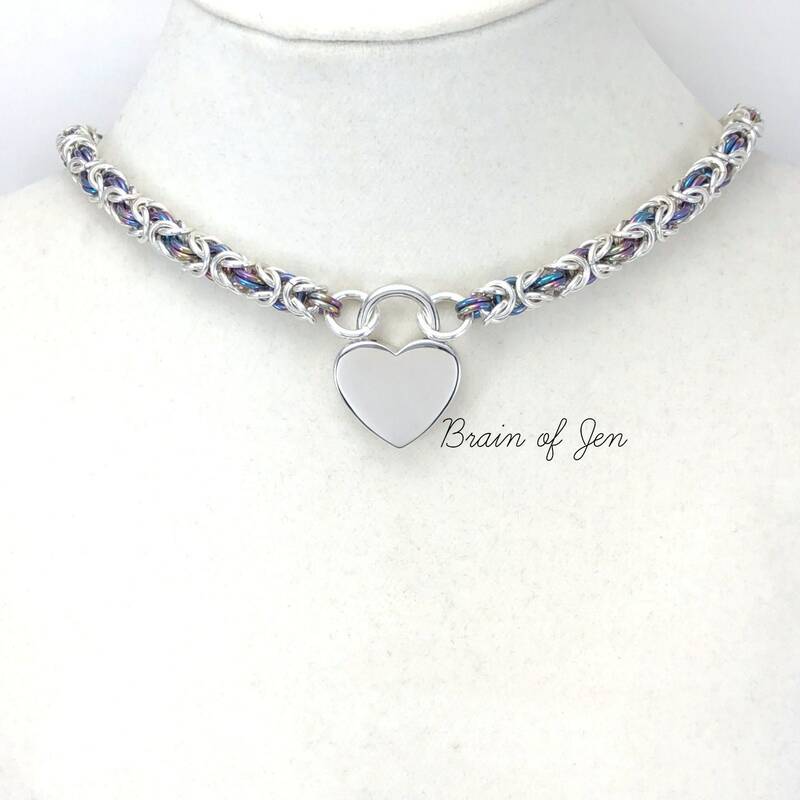 Make your submissive feel truly treasured with this breathtaking, decadent sterling silver and rainbow niobium collar! 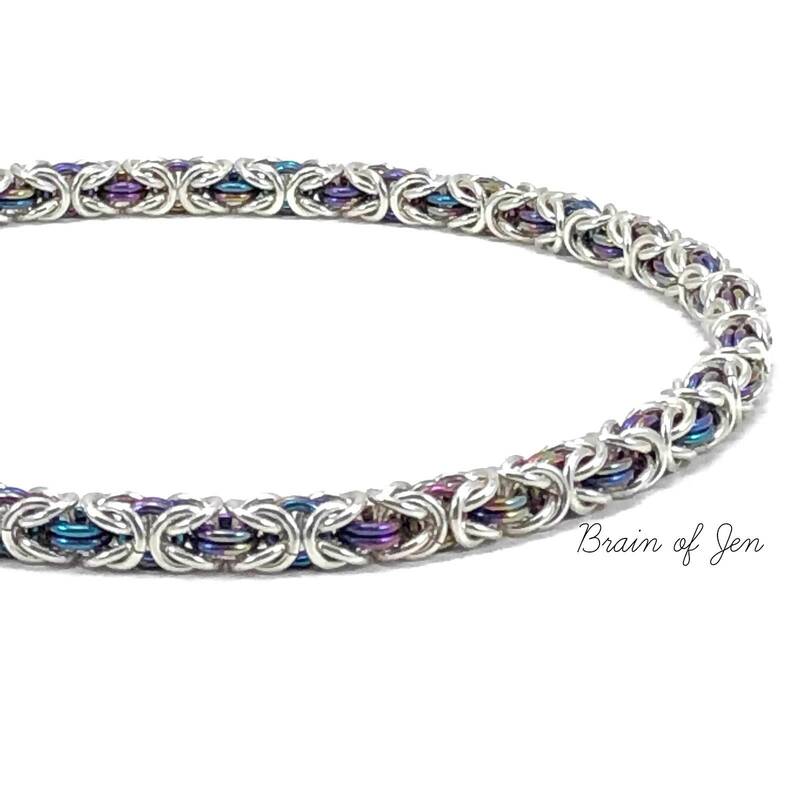 This striking, yet discreet day collar was crafted with the finest quality sterling silver and vibrantly colored niobium rings, woven carefully by hand in the elegant Byzantine chainmaille weave. 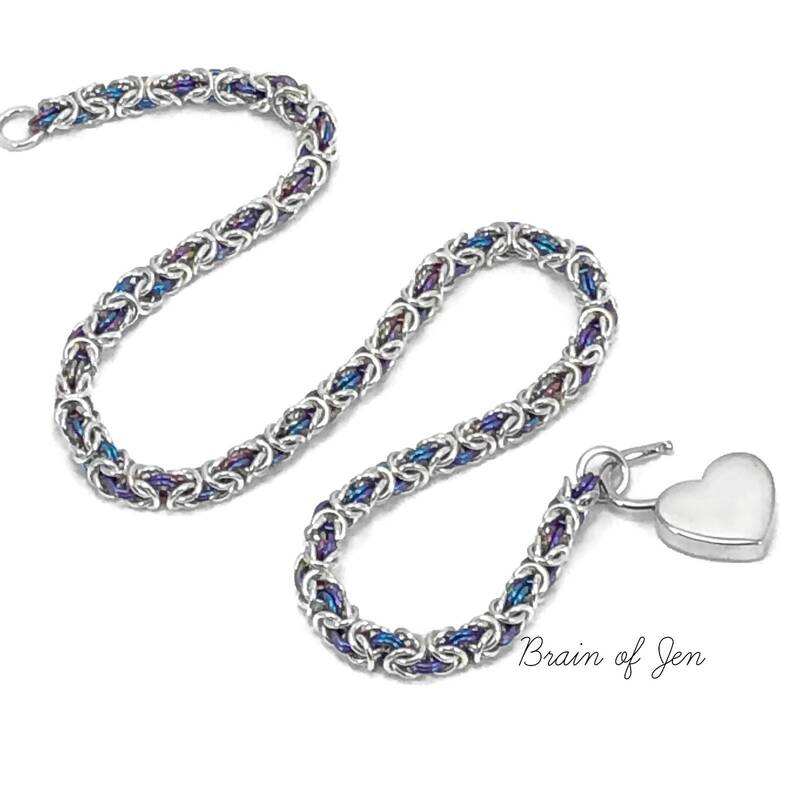 For those unfamiliar with niobium, it's a precious metal similar to silver, but with the added bonus that it can be colored with heat and electricity! For rainbow niobium, each ring is different, shimmering in stunning jewel tones from purple, fuchsia and gold to cobalt blue, teal and turquoise. And the best part is, it's hypoallergenic! Perfect for those with sensitive skin. 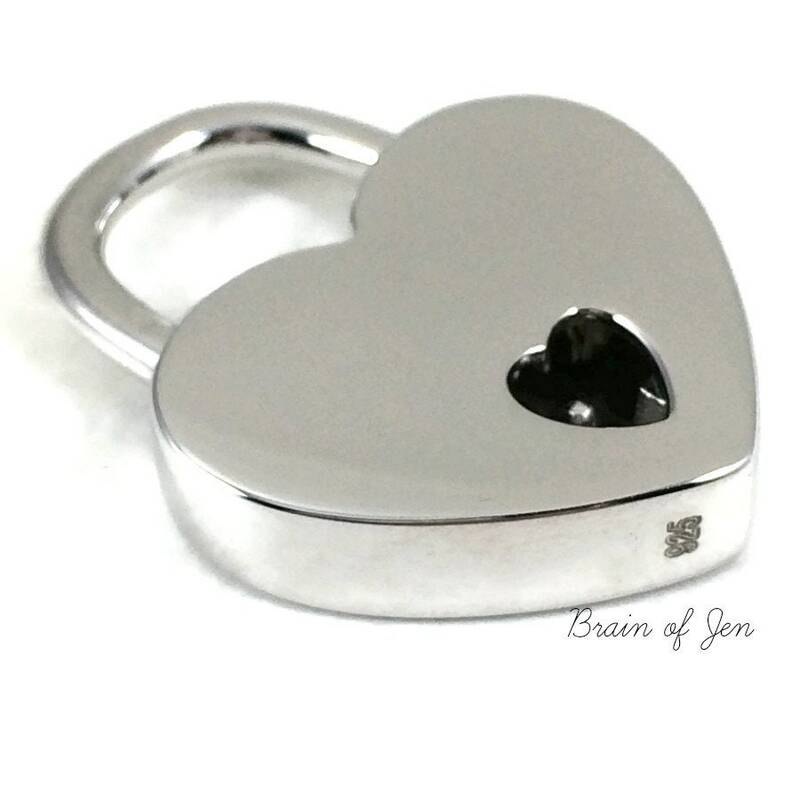 The collar closes in front with a gorgeous and shiny silver heart shaped padlock, made exclusively for Brain of Jen from solid .925 sterling silver. 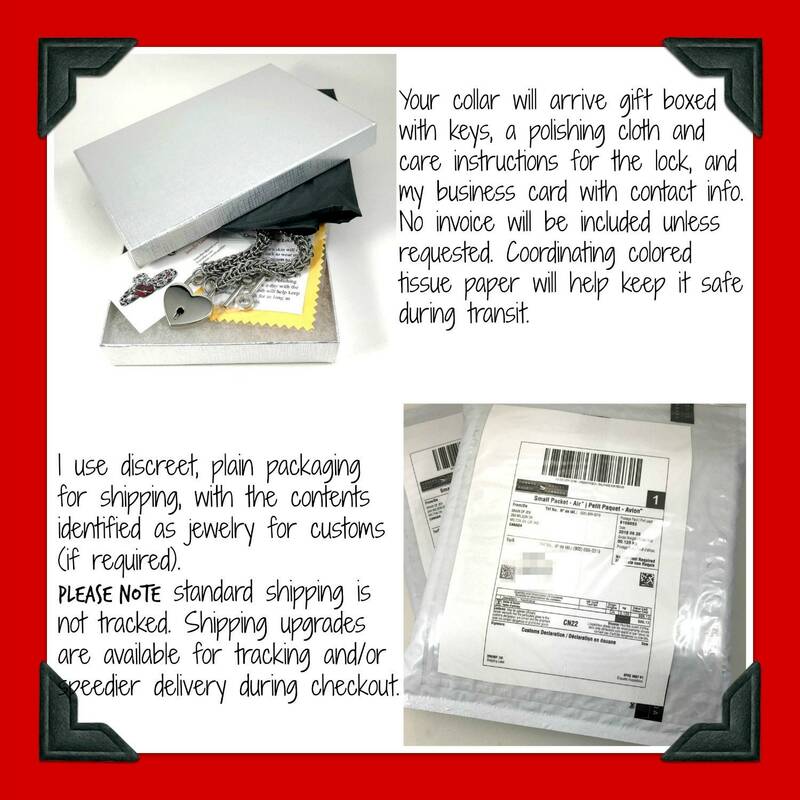 The lock measures about 30 mm across, and features beveled corners and a seamless edge making it both comfortable and durable enough for 24/7 wear. 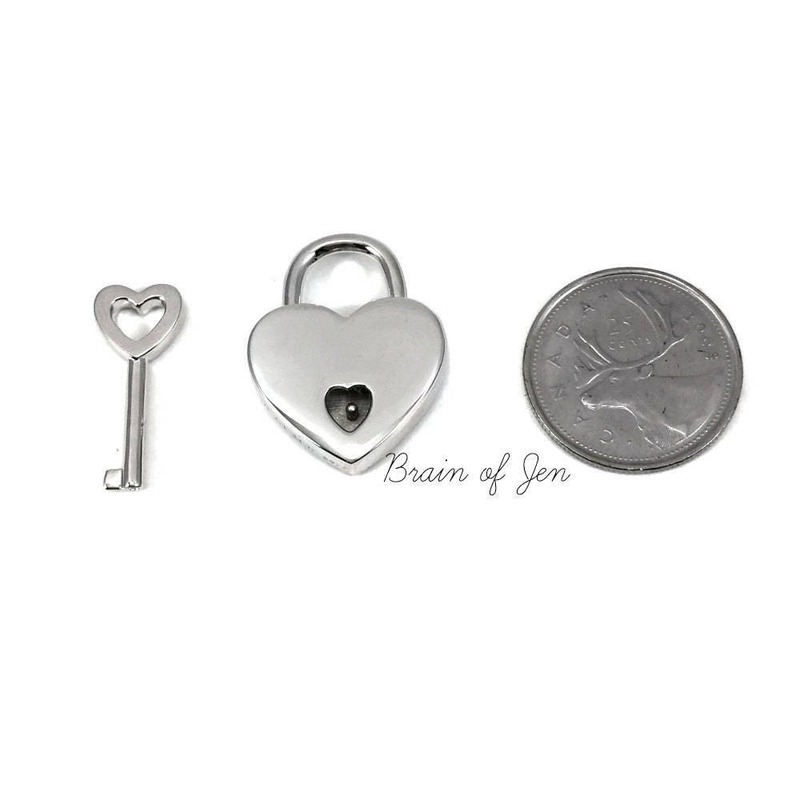 Your lock also comes with a set of two keys, which are also made from sterling silver. 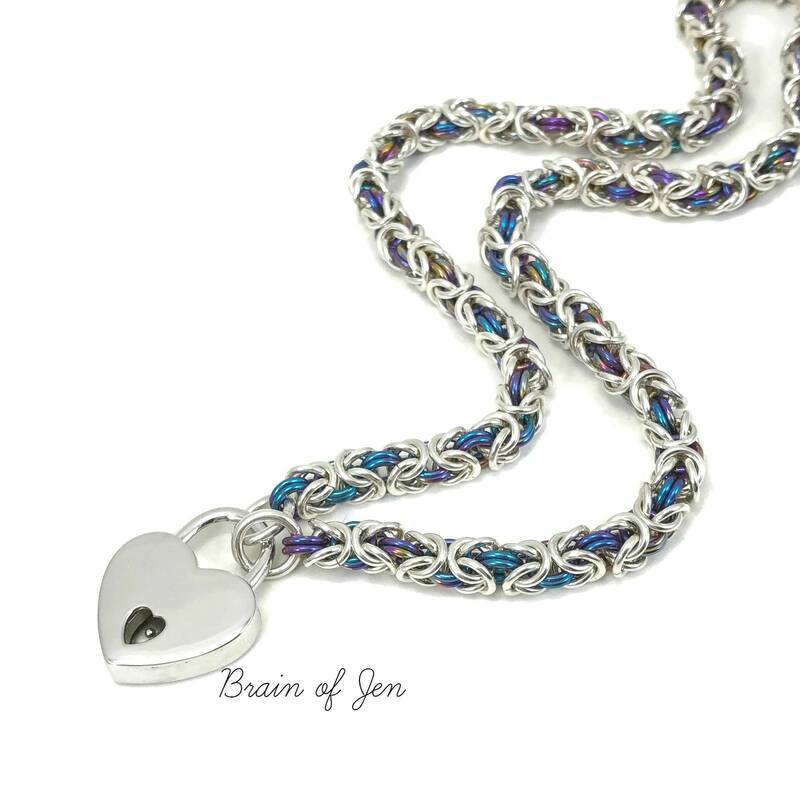 ***PLEASE NOTE: the shiny rainbow finish on niobium CAN fade with constant wear, so it is recommended that your collar be removed for showering, swimming and sleeping.